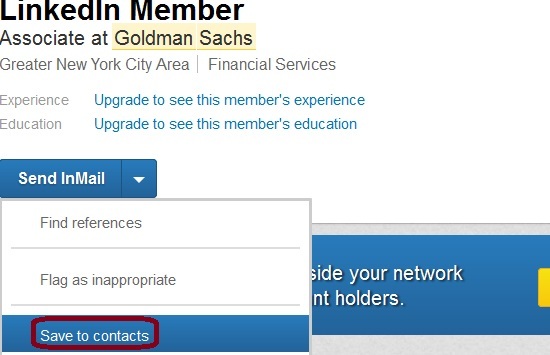 Back in December 2013 I posted the tip People You May Not Know about uncovering the hidden names and the full profiles on LinkedIn. It works in 100% cases and is based on saving the profile in question in your contacts. The Contacts provides a goldmine of sourcing functionality; I have written about other creative ways to use them on this blog ever since they were introduced. 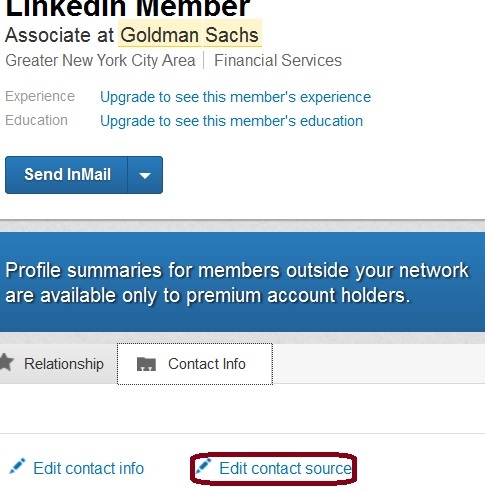 Thanks to my friend and a Sourcing trainer Johnny Campbell of SocialTalent for pointing out the “edit source” link, that now shows up on a “saved-to-contacts” profile, in one of our chats. 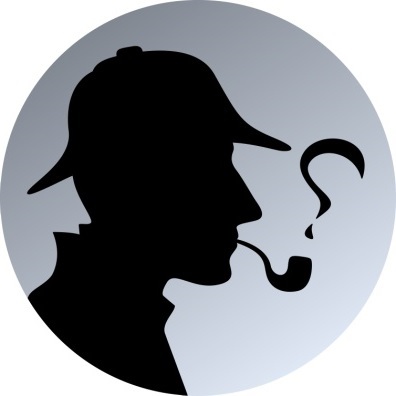 Long story short, let me share a quicker way to how to uncover the name and the full profile. Step 2. 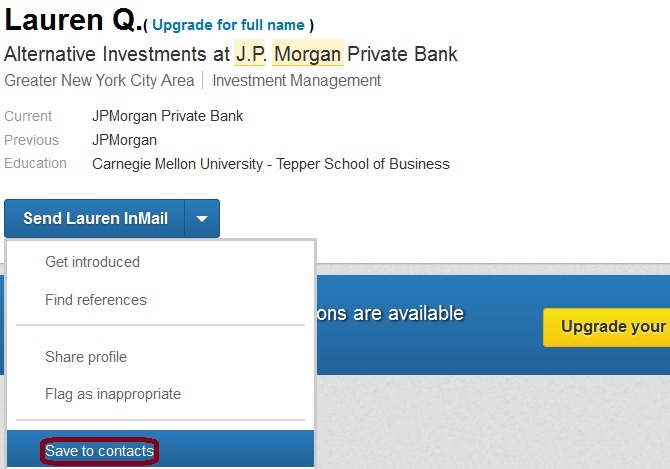 In one of the two tabs below,”relationship” and “contact info”, that you will now see, select the “contact info” and click on the Edit contact source link. My best guess is that this shortcut to full profiles is very temporary since “editing the source of contact” for some reason takes users to “merging contacts”. To be fair, the “merge editor” may make sense if you already have the profile in question saved in the contacts from another source; that is a rare case. P. S. In a later post I will also share a way to save and uncover hidden profiles using the tagging function. Nice one, as always, Irina! I also really like the Chrome app you introduced me to a while back, Lippl. Makes sourcing with a basic LinkedIn account much easier! I so envy using chrome. There are too many restrictions at work place on using other browsers besides IE8… #stuckintime unfortunately. And above all, LinkedIn does not function properly on older browsers! Any other alternatives on App add ons, Irina? First of all thanks for all the sourcing tips & tricks. This all are really very helpful. However i just encountered an issue while using the above trick. i.e after selecting the tab “contact info”, i am unable to get “Edit contact source link” tab and instead, getting only a single tab “Edit contact info”. So can you help me with getting the other tab – “Edit contact source link”. Its really very helpful and interesting information you have shared. One trick that has never failed me, is taking elements of what I can see in the profile and running them through google e.g. first name, title, school or company. I have used the shortcuts in the past and they work too – it just has never failed. Having saved to contacts, I go into ‘Contact Info’ but there is no ‘Edit Contact Source’ option – Any ideas? This trick is great, I’ve been using since you posted it! However, I think that LinkedIn did something this week because I was able to save 3rd. degree profiles to Contacts and now I get a red “Unable to save contact” message. I’m pretty sure I saved 3rd. degree connections at least 2 weeks ago. Has LinkedIn changed something in the last rollout? Yes, it was actually changed last night. Thanks was fast! Look at today’s post for workarounds. Aha, really fast indeed! I’ll check your posting though I’ve read an article in a LinkedIn group and I’m already testing Lippl. Thanks for coming back Irina! I had posted on SourceCon.qa but thought I would try here as well. Would there happen to be a new way to get 3rd connections and out-of-network people saved into contacts so that they may be tagged? At this time, unfortunately, there isn’t any way to save a 3rd level connection. However, you can find the full name and the full profile by forwarding (“sharing”_ the profile to someone (feel free to forward to me). Select the “save” from the drop down. Then, look in your sent items folder and you will see a link to the full profile. This one’s really great but i cant save any profile on my account to explore full profile nowadays.. is it because i have done this too many times? ?